Description: AP® World History: Modern* will cover the history of the world from 1200 AD to the present day. In AP® World History: Modern, students expand their knowledge of the people, events, and ideas that have shaped our world, and consider them from a biblical perspective. Students don't just memorize facts—they also develop thinking skills and practice historical analysis. *For the 2019-20 academic year, the College Board has changed AP® World History to AP® World History: Modern. This course now begins at 1200 A.D. and covers the modern era only. What topics will I learn about in World History: Modern? World History: Modern is designed not only to introduce students to the modern era of world history, but also to help them evaluate the people, events, and ideas of world history from a biblical worldview. This course will cover the history of the world from 1200 AD to the present day. As they examine the history of the modern era, students will refine their analytical abilities and critical thinking skills in order to understand historical and geographical context, make comparisons across cultures, use documents and other primary sources, and recognize and discuss different interpretations and historical frameworks. Know important facts, concepts, and theories pertaining to modern world history and give a biblical-worldview analysis of those facts, concepts, and theories. Place important historical events, individuals, and movements in chronological order. Analyze and interpret basic data relevant to modern world history. Understand the interaction between the environment and the development of human societies and cultures in the modern era. Analyze the similarities and differences between peoples and cultures of the modern world. Trace the development of nations, cultures, and empires. Biblically understand the impact of the major world religions on the modern era. Understand the importance of trade networks, empires, exploration, industrialization, revolution, and globalization during the progression of the modern era. How much homework is in World History: Modern? AP® World History: Modern is a rigorous, college-level course. The College Board recommends this course and corresponding AP® exam for advanced 10th grade students and up. What books will I use in World History: Modern? The tentative AP® World History: Modern Booklist is now available. In the official booklist, you will find information about the editions, book descriptions, and ISBN numbers. Am I ready to take World History: Modern? This is a rigorous, college-level course. Students should have strong reading and writing skills and be prepared for substantial studying and reading requirements. 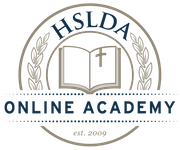 HSLDA Online Academy recommends that students complete at least one high school history course at an advanced or honors level before enrolling. Please visit the College Board page about AP® World History page for more information about the material and skills students will study in the course and will need to master for the AP® exam in this subject. What is a Live Online Class Session in World History: Modern? What if I have a schedule conflict with listed World History: Modern class times? What is the tuition for World History: Modern?